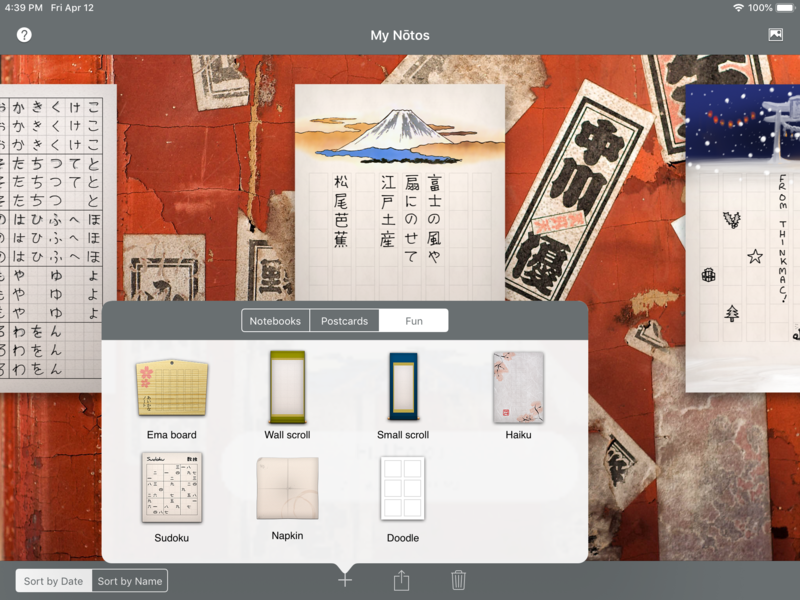 iKana Nōto transforms your fingertip or Apple Pencil® into a virtual marker, pencil or brush and lets you use your iPad® to practice writing Japanese characters with a number of beautifully designed templates. Nōto, or ノート in Japanese, means notebook. 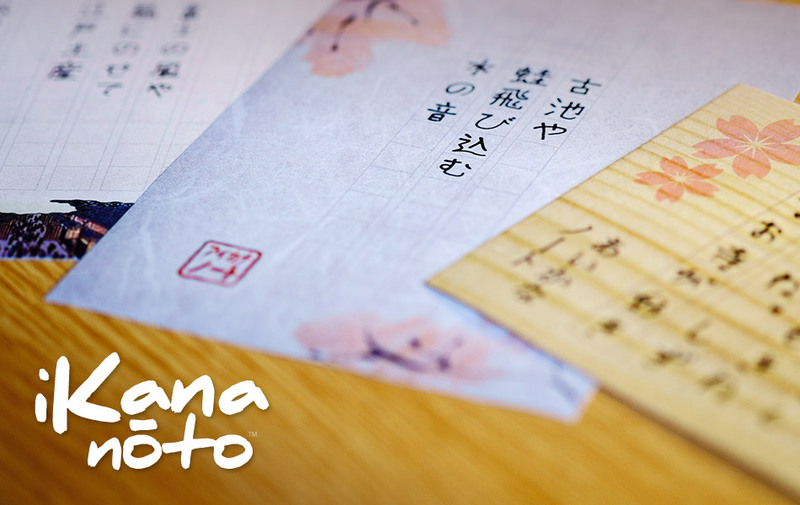 Whether you’re a novice or an expert at Japanese, iKana Nōto is a great way to improve your handwriting and reinforce your memory. 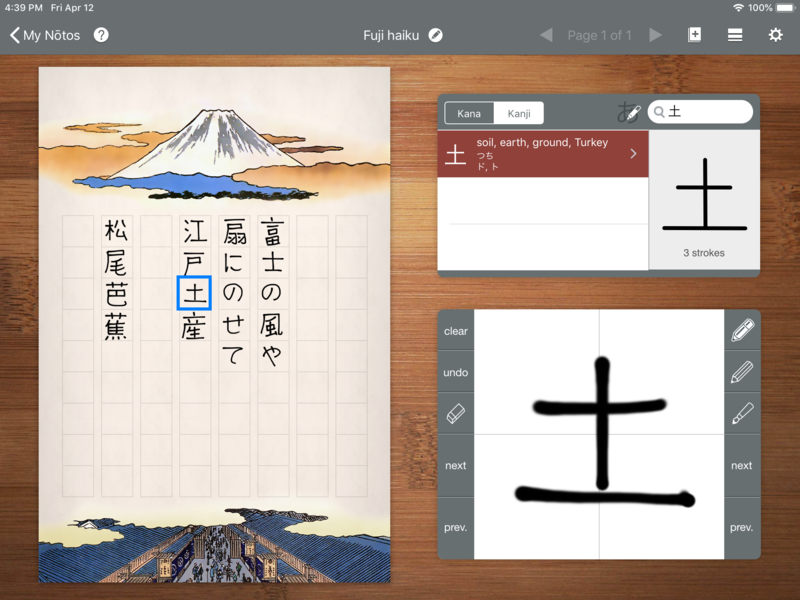 iKana Nōto is designed to let you easily write even complicated kanji with ease using a large writing area that can be positioned on different sides of the screen to suit your needs. Choose the writing tool that suits your mood or the template, customise the stoke width and write – or draw, what ever you like. 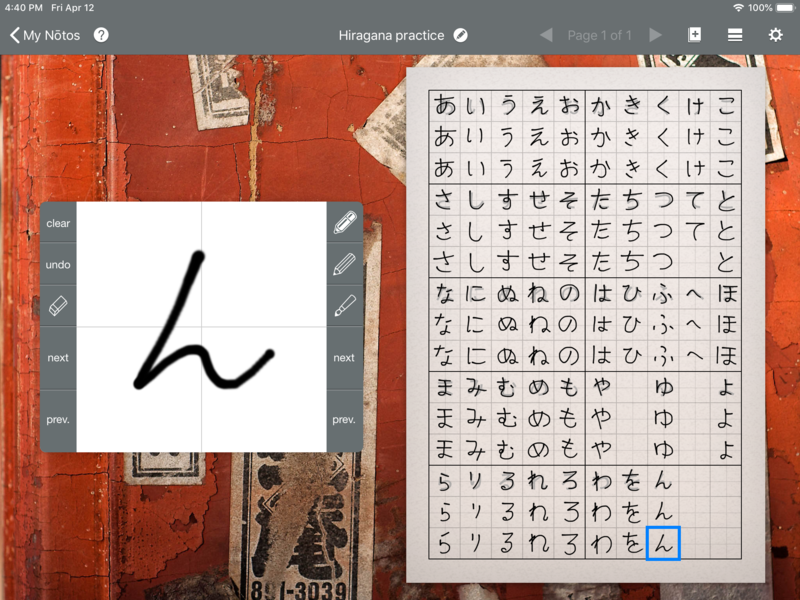 Easily correct mistakes using the eraser tool or undo that stroke you got wrong. Lookup kana you can’t remember how to write and see stroke animations to make sure you’re writing them correctly. 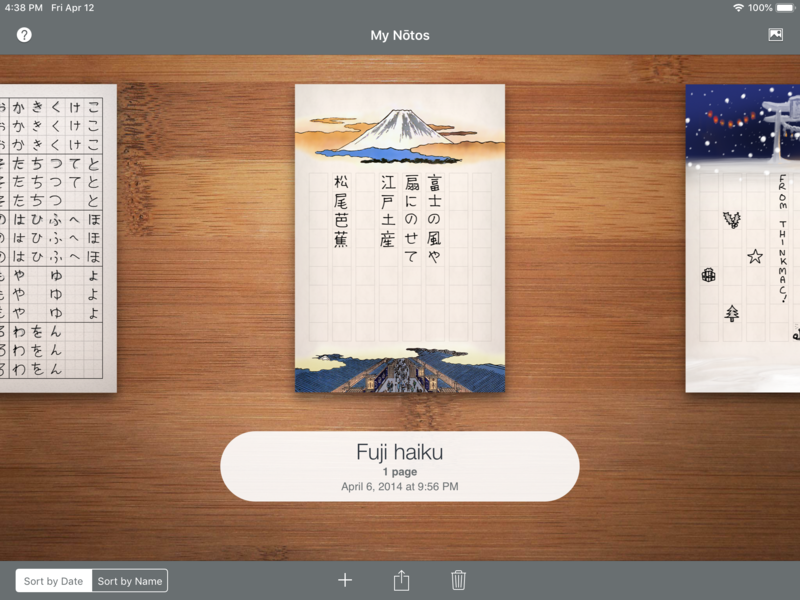 You’re not limited to just using iKana Nōto to practice writing though, we’ve made it easy to email your creations or send them to FaceBook, Twitter and other services. 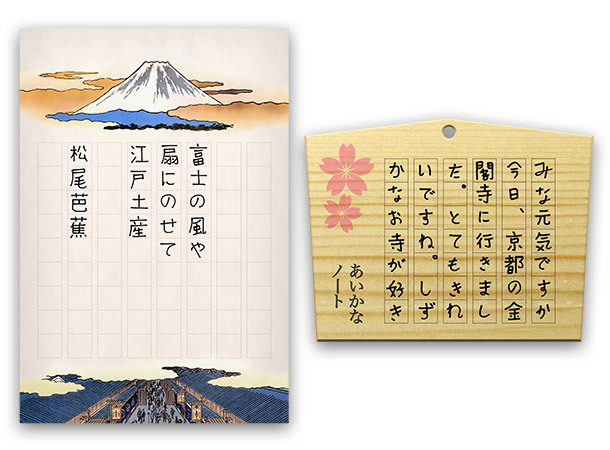 So why not send a lovely handwritten postcard to your sensei or write notes to your Japanese friends? Everyone will appreciate the personal touch that comes from using your own handwriting. You’ll find that iKana Nōto is also ideal to write in other languages such as Chinese and Korean too. iPad 3 or later. Supports all iPad sizes.